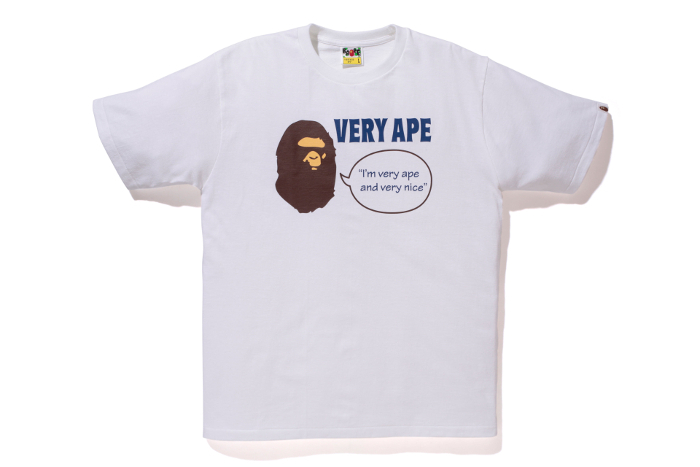 BAPE celebrate the 11th anniversary of their London store tomorrow, bringing back 2 Very Ape designs from the archives in limited numbers. 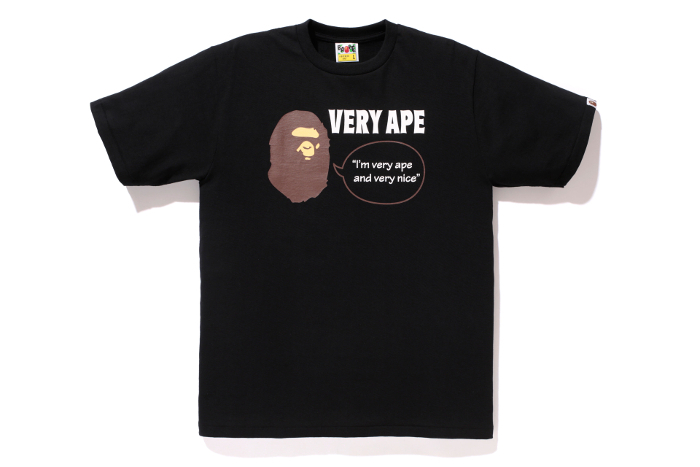 The first piece is a simple black logo printed on ‘clay’ coloured tees, while the second borrows from the labels found on the original Very Ape products, available in both black and white. 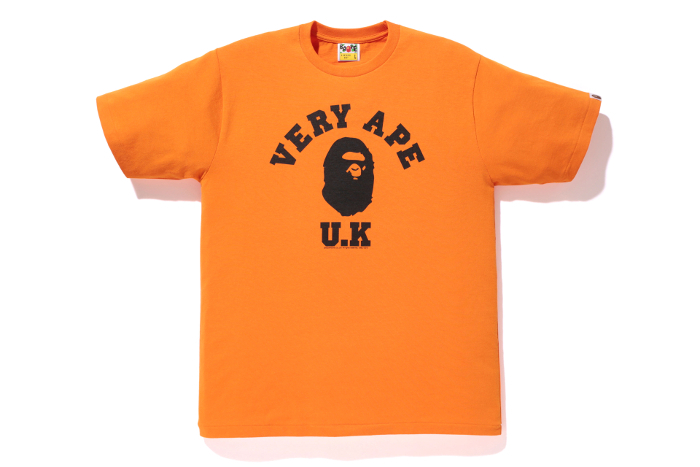 All of these Very Ape products feature the APEHEAD facing East, where the original Ape faces West, a sign of Very Ape’s UK connections. All three T-shirts will be available at BAPE Store London tomorrow, Saturday October 12th, from 11am and online at BAPE EU from 7pm.